Do you know the warning signs that indicate that electrical could be an issue? If any of these occur in your home, a qualified electrician should be contacted immediately to inspect. Here are a few helpful tips to prevent electrical hazards! Extension cords if used, should only be temporary and not for lengths more than 6-10 feet. They should never be stapled to walls, floors, ceilings in place of permanent wiring. Keep away from heat and water, and never use in a high traffic area, place under heavy furniture, carpet or rugs. If you’re blowing fuses don’t just keep replacing them. Call an electrician to check for overloading of the circuits. Never use a higher-wattage bulb than the maximum indicated on the fixture. 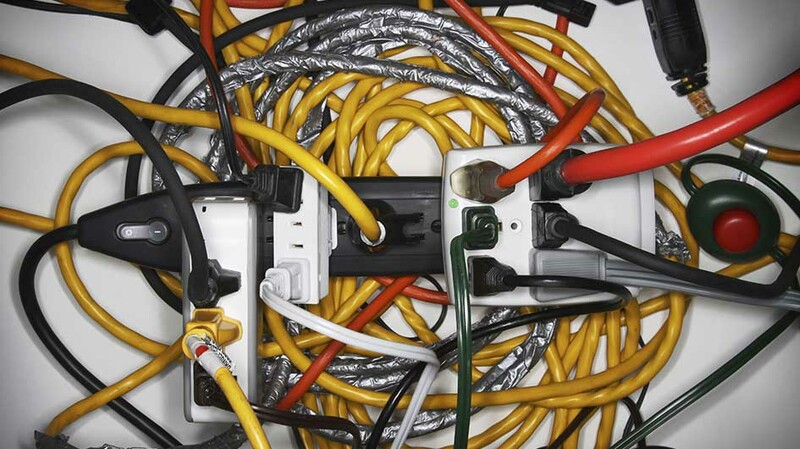 Plug appliances like your refrigerator, microwave or kettle into the wall, never an extension cord. When doing an electrical renovation, putting up major lighting systems or adding extra appliances to your circuits have your local power company come and inspect the work. Exposed or loose wiring should be replaced or properly secured by an electrician. Be aware of sparks when removing plugs. 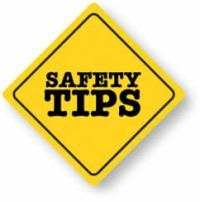 Unplug electrical devices such as curling irons, hair dryers, irons and the like prior to leaving home. Fuses and breakers should be replaced with the correct size and amperage, making sure electrical panel circuits are labeled properly. Electrical tools should be replaced if the cord is worn, frayed or cracked; provides small electrical shocks, overheats, shorts out or gives off smoke while in use. A qualified electrician should conduct electrical inspections if there are any suspected hazards, maintenance, renovations and to perform upgrades. Arc-Fault Circuit Interrupters (AFCI) devices can be professionally installed to prevent arcing in wiring or appliances – it shuts down the circuit before it over heats.